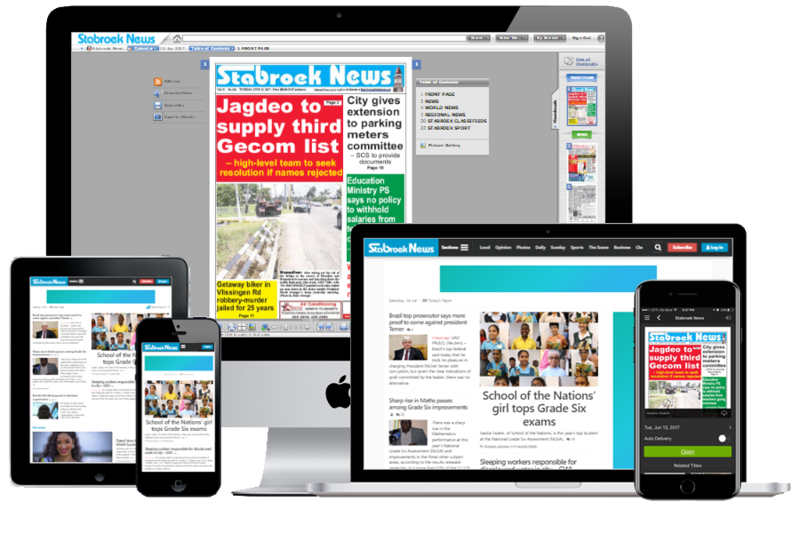 We are in the business of delivering credible and unbiased reporting on issues that matter in Guyana across several platforms - print, web, email and mobile. 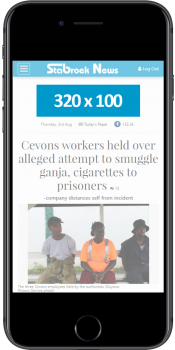 Everyday more Guyanese are embracing technology to read news content, and they are doing this while still consuming news in print. Our products are optimized for each platform and reach more people than any other local media offering. Let us help you reach hundreds of thousands of Guyanese at home and in the diaspora. Visitors to our website are highly targeted, and arrive mainly via browser bookmarks, targeted search engine queries, social media interactions, and highly relevant inbound links. With our mobile friendly layout and responsive design, your ad will reach an audience that is receptive to your message across all devices. We offer opportunities for advertisers to reach this valuable, targeted audience. Our in-house design staff can help build and optimize your ads. 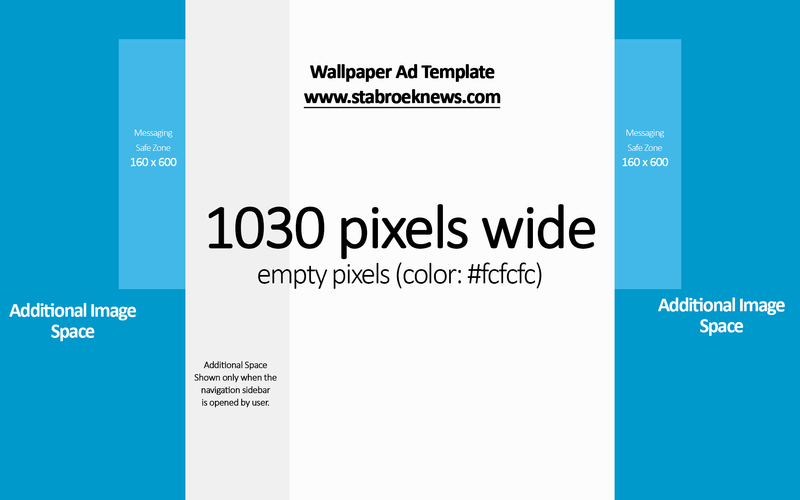 We accept banners ads in HTML5, JPG or GIF format and in file sizes up to 200k. Ad positions are semi-exclusive, i.e. the spaces may be rotated with up to two (2) other advertisers after a pageview. View example Same position as the Leaderboard but provides a bigger impact on landscape tablets, laptops & desktops. Offers advertisers the opportunity to take over the site's background. 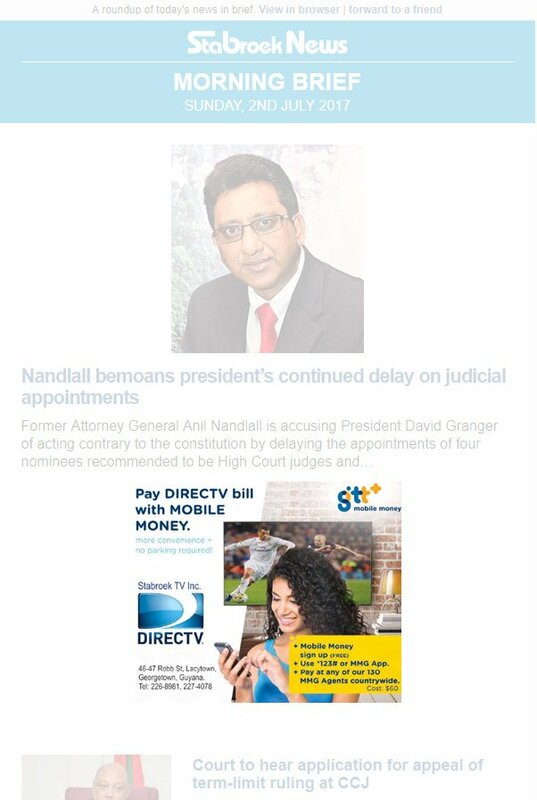 The Ad will be clickable, will appear sitewide and will stay in place as user scrolls. 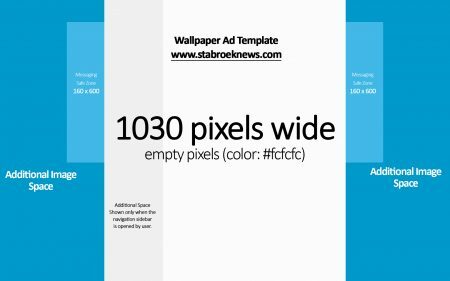 Up to 2000 x 1200 pixels with 1030x1200 of white pixels in the absolute center. The majority of our users on laptops/desktops use screens that are 1366px or wider. 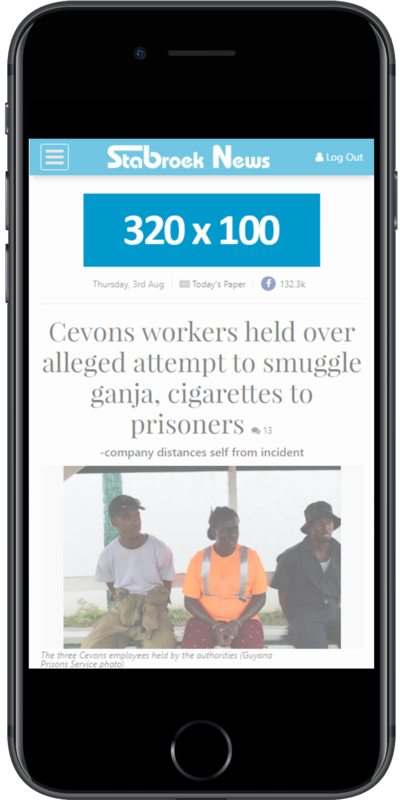 For effectiveness on screen sizes down to 1366px wide, important messaging/call-to-action and logos should be within the inner 160px on either side and not below the 600 pixel mark (safe zone). You should also offset about 100 pixels from the top to allow for the fixed navigation bar. Use the template attached as a guideline during your ad design, or let us design it for you. Recommended: Combine a Wallpaper takeover with the Billboard banner for maximum impact. View example Reach your customers via Email with a prominent ad in our daily morning newsletter to over 15,000 subscribers. 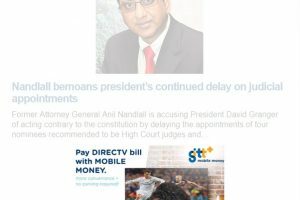 The newsletter covers top stories, sports, business and more. This is an exclusive space with only one 300x250 static ad position at max of 50k file size. 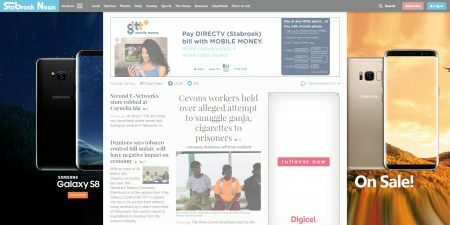 Make a big impact with a display print ad in The Stabroek News or Sunday Stabroek that is scalable to your budget. You can book any size you wish measuring by column inches, from an affordable 1-column by 1.5-inch ad to a whole page ad. Your ad can be black and white, spot color or full color. Print classifieds, memoriams, death announcements and sincere thanks also available. Contact us for the current rate card. Our office hours are Monday - Friday, 08:00 AM – 04:30 PM Guyana Time. You can generally expect a response within 24 hours. Once your booking is confirmed, we'll send you an invoice. We accept payments by Bank Transfer, and online via 2checkout.com with MasterCard, Visa, American Express or Paypal.